While automobile and truck accidents have many aspects in common with each other, in certain respects, they differ greatly. Due to the specialized knowledge required to successfully resolve these types of matters, it’s important that you hire an attorney who knows the ins and outs of truck accident law if you’ve suffered an injury from an accident involving a truck. Truck accident claims involve many of the same basic questions that car accident claims involve. Who was negligent? How did the accident occur? And what insurance coverages apply to the claim? Numerous circumstances can occur during truck accidents, though, that are unique to crashes involving commercial vehicles and large vehicles. Semi truck drivers are required to stop and rest at legally mandated intervals. 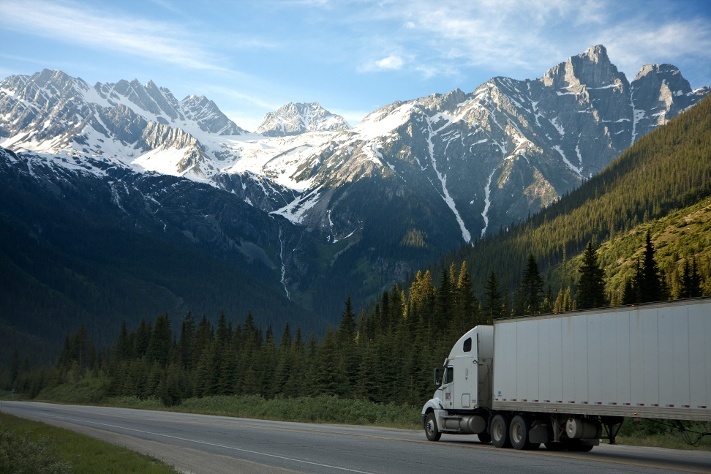 Drivers’ logs, driver and expert testimony, witnesses’ testimony and other evidence can be used to prove that a truck driver was fatigued at the time of the accident. Semi trucks must be regularly maintained in order to be operated safely. Maintenance records obtained via the discovery process may prove the truck was unsafe to operate. Semi truck drivers are barred from operating a vehicle under the influence of drugs, alcohol and certain prescription medication. If the driver was under the influence of a substance, or had a history of substance abuse that went unnoticed when he or she was hired, the driver or transportation company can be held liable for damages. Transportation companies are legally required to employ safe and cautious drivers, and to competently screen drivers. If a transport company fails to determine that a new hire has a history of traffic violations, it can be held liable. New trucks are often now equipped with technology similar to jumbo jets’ “black boxes”. If an accident occurs, a truck accident attorney can subpoena possible evidence of negligent driving via the black box. Truck drivers, more so than car drivers in many jurisdictions, are barred from using cell phones while driving. Following a truck accident, a lawyer can subpoena the truck driver’s personal and or company cell phone records to determine whether he or she was using the device at the time of the accident. Other complex legal issues can arise when a commercial vehicle such as a delivery truck, pickup truck or even company car is involved in a crash. The question of whether the driver was “on the clock” immediately comes into play. If a driver was returning from a sales appointment, leaving work, or running an errand that involved both work and non-work-related stops, complex questions can arise regarding whether company-purchased insurance coverage applies. Car and truck accident claims begin at the same spot – negligence, fault, cause and coverage – but truck accident claims involve numerous additional federal regulations and state laws. When hiring a personal injury lawyer following a truck accident, make sure he or she has the necessary knowledge to help you obtain the best possible result. We handle auto accidents on a regular basis, but we understand this is not an everyday experience for you. We will guide you through every step in the process. Our attorney and professional staff will get to know you and your situation well, because the better we know you, the better we can represent you. If you think you have a personal injury case, contact us to schedule a consultation.